Towards the end of 2017, there were 33 out of 119 (27.32%) communes approved as new-type countryside. In 2018, An Giang aims to have more 13 communes to be approved as new-countryside, making the total number of new-type countryside communes hit 46 (38.66%). Building new-type countryside is a National Target Program conducted nationwide. To An Giang Province, this is a crucial task of the provincial Party Committee and levels of People’s Committee. 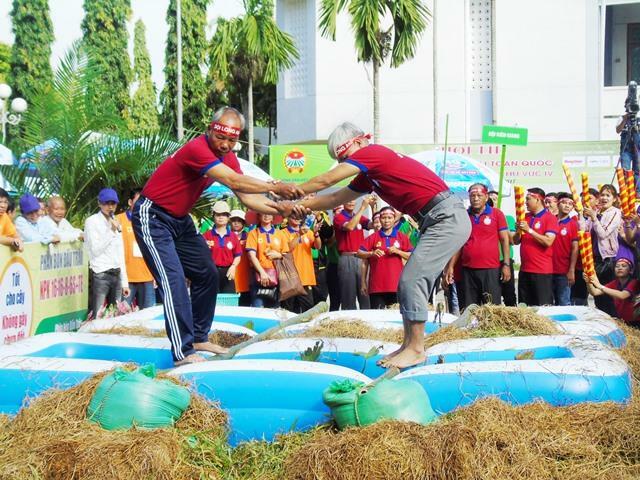 Staff from provincial to communal level determine to successfully fulfill the task. 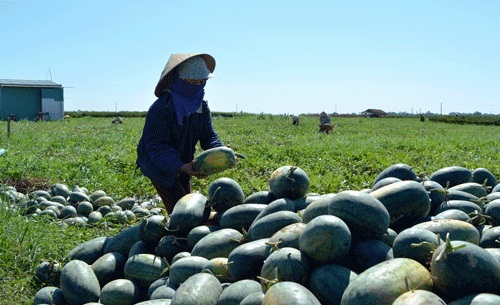 Although there are still a lot of things to do, An Giang identify its focus on desseminating the task so that people can understand and take their part in building new-type countryside. Due to the close instructions and monitoring of levels of Party Committee and government in the province towards the progress of building new-type countryside, the awareness of building new-type countryside among staff, Party members and local people was changed positively. Thus, it was easier to mobilize resources from local people. Members of the provincial Party Committee went to monitor most communes (2-4 times each commune) and directly exchanged with representatives of district Party Committee and communal People’s Committee to review all advantages, disadvantages of building new-type countryside and find out solutions, give orientations towards support for communes in order to complete the task as planned. Accordingly, the progress was speeded up and some pilot communes had finished the tasked ahead schedule. They were My Khanh Commune - Long Xuyen City, Thoai Giang Commune - Thoai Son District (completed in 2016 before the target of 2017); Khanh Hoa Commune - Chau Phu District, Vinh Khanh Commune - Thoai Son District (striving to complete in 2017 before the target of 2018). Up to December 31, 2017, the province had 33 out of 119 (27.32%) communes approved as new-type countryside by the Chairman of the provincial People’s Committee. In 2018, An Giang aims to have more 13 communes to be approved as new-countryside, making the total number of new-type countryside communes hit 46 (38.66%). 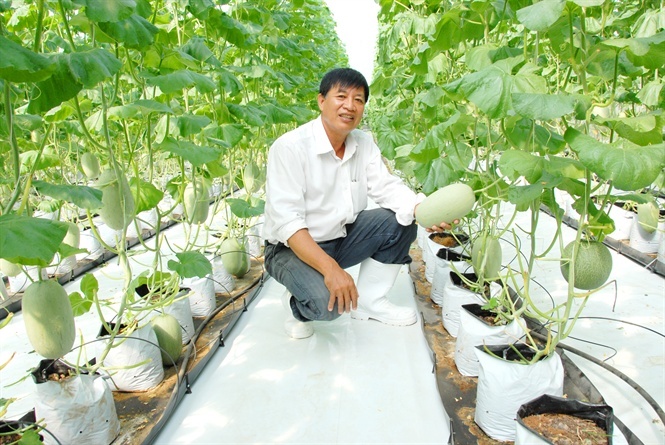 Apart from this, An Giang also focuses on elevating income for farmers by changing to hi-tech agriculture, building and developing sustainable agriculture. Especially, with the guideline of the Central on boosting the application of technology to agriculture, the province certainly has a foundation to develop high technology for agricutural production, etc. Tran Anh Thu, Director of Department of Agriculture and Rural Development, shared that following the instructions and management of the provincial Party Committee, the government and specialized divisions, districts became more proactive in giving instructions, assignments for building new-type countryside, supervising and monitoring. Therefore, they had been timely helping communes solve occuring problems and speed up the progress of building new-type countryside. Following that, the next task was increasing income for farmers so that the building of new-type countryside can go well and be sustainable. “About agriculture, we concentrate on developing the economy, improving material and spiritual life for farmers through agricultural restructuring aiming at hi-tech agriculture. For example, establishing chains in large-scale, modern vegetable production and consumption; building OCOP model (7 products planned); forming modern, eco-friendly and cooperation-based rice production model which creates high efficiency”. “Recently, Department of Agriculture and Rural Development of An Giang has recommended the provincial People’s Commitee to approve 8 proposals on detail planning of area for hi-tech agricultural production for rice, aquaculture, livestock farming, vegetables, fruit trees, flowers, medicinal herbs, mushrooms. 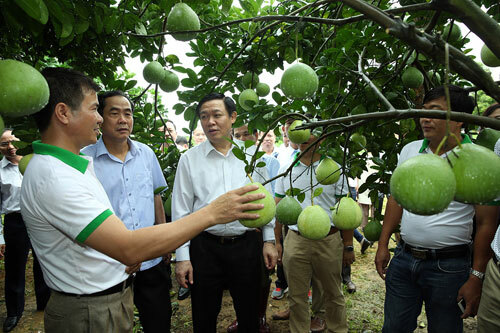 These are identified to be main products of the province, which will help the province develop in socio-economy, improve income for people in An Giang” – said Thu.